Apply beautiful hand-crafted presets with one tap. Or, effortlessly create your own look with exclusive curated textures, authentic film filters, and professional-grade adjustments. And, simple sharing tools makes inspiring others easy. You'll find analog light leaks, hand-made artifacts, element textures, dusty vintage film scans, tasteful grunge, and perfectly tuned gradients. Effect too strong? Easily adjust the opacity to suit your needs. With 12 different blending modes per texture, every new layer adds a dynamic range of possibilities. We give you all the necessary tools you need to create something unique. We are the only award winning app that allows you to stack an unlimited number of layers. Move, hide, rotate, and adjust opacity of your layers and see the results in real time with our one-of-a-kind workflow. With this new process, you can change any edit you’ve made at any time, even if you added it dozens of steps ago! Non-linear editing at its finest. Overcomplicated adjustments are for the birds. Adjust your photos with professional grade tools like Exposure, Contrast, Tint, White Balance, Fade, Black and White, Highlights/Shadows, Sharpness, and Saturation. Included are 30 film presets that emulate popular film stocks that introduce a forgotten element in mobile editing. Add a photo, layer up your image, add adjustments, and export your work of art. You can save your edits for future use with our Formula workflow. Save as many formulas as you’d like and evolve a style that’s completely yours. 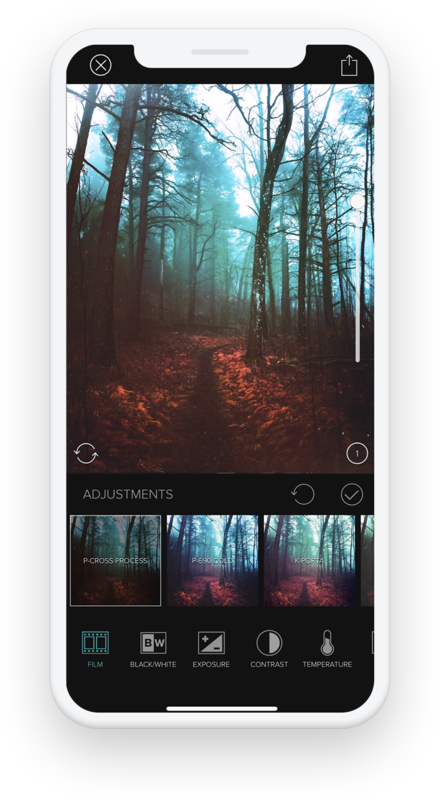 And new in Mextures 2.0, our formula manager allows you to import formulas from other users. And with a tap of a button, you can share your formulas on any social networks with a simple code. Along with 6 themed formula packs, we’re excited to showcase 17 incredible photographers who have created over 130 carefully crafted formulas.